Главная › Blog(en) › What changes can you see in Australian immigration in 2019? There have been quite a few changes in the Australian immigration scene in 2018. Scott Morrison, PM of Australia, announced the slashing of immigration numbers. On the other hand, more opportunities for immigrants in regional areas were created. The Australian Govt. has signed the DAMA (Designated Area Migration Agreement) with Northern Territory and Victoria. The DAMA will lower the English, income, and skill level requirements for migrants working in the regional areas of these two states. The Agreement will also offer a pathway to PR for these migrants. 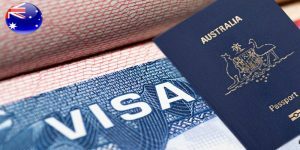 Australia will make available a new temporary sponsored Parent Visa in the first half of 2019. This Visa will allow parents of Australian migrants to live in Australia for up to 5 years. Applicants would be able to choose between a 3-year Visa and a 5-year Visa. The 3-year visa would cost $5,000 while the 5-year Visa would cost $10,000. The new Parent Visas would be renewable for up to 10 years. Migrants, however, would only be able to sponsor one set of parents. The Australian Govt. passed the Migration Amendments Bill (Family Violence and Other Measures) in November 2018. The Bill put into place a new sponsorship framework which will now make applying for a Partner Visa a two-step process. The sponsor in Australia will first need to submit a sponsorship application. The Partner Visa can only be lodged after the sponsorship application is approved. The processing time for the sponsorship application will be around 12 weeks. South Australia will launch a new Entrepreneur Visa which does not have any investment requirement. Unlike other Business and Innovation Visas, this Visa will not require the applicants to have any capital outlay. Applicants would be able to come to Australia under the Subclass 408 (Temporary Activity) and also include their family in their application. The validity of the Visa would be up to 3 years. Scott Morrison, PM, has announced a reduction in immigration numbers. He has indicated that the annual immigration intake for 2019 would be capped at 160,000. States and Territories will be given greater control in deciding individual immigration intake. For example, the quota for ACT’s Subclass 190 Visa has been increased from 800 to 1,400.